I have really been slacking and not using my juicer lately, which is totally unlike me. So since it’s a new day and I have the opportunity to take action – I made a delish juice and thought I’d share it with you. If you have a juicer, that will work best for the recipe. But of course if you only have a blender, you can blend up all the ingredients and then drain the juice from the pulp. No excuses then! 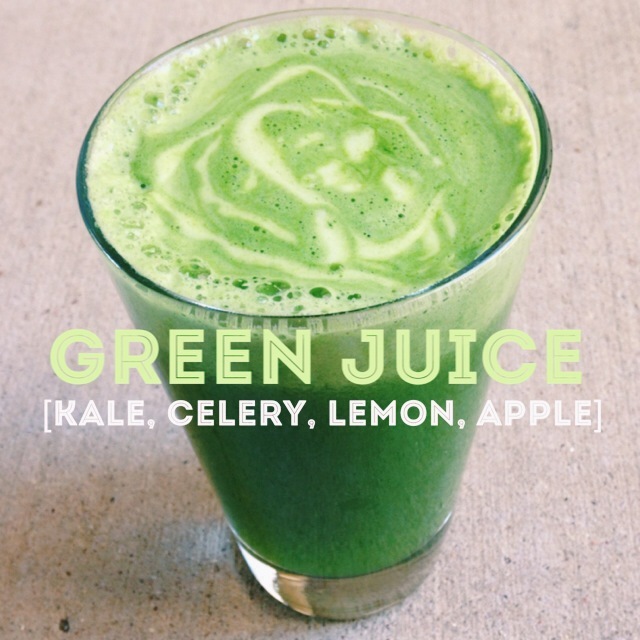 This juice is pretty veggie-based, so if you are new to juicing you can make it more sweet by using less celery (maybe 3 stalks) and one more apple.